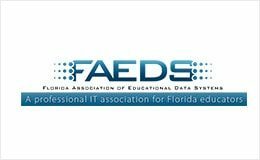 Join Verteks Consulting at FAEDS 2018 Conference September 24th - September 26th - Ocala, Gainesville, Orlando | Verteks Consulting, Inc.
We can't wait to see you at FAEDS 2018 at the Caribe Royale, Orlando Monday, September 24th through Wednesday, September 26th with our Security Training continuing from Wednesday, Sept 26th to Friday, Sept 28th "Integrating Technology to Enhance Student Success" Summary. They will have a great line up of speakers and sessions planned. Including our CEO Don Gulling. We will be discussing: Emergency Management Response Planning. Keep everyone informed before, during and after any event. Over 55 million elementary and secondary school students trust our educational institutions to provide a safe and secure learning environment. One of the most critical systems for any school or business to have is a powerful Emergency Notification System. Preparation, planning, and communication is the key to any emergency.